Seán Quinn gambled with his children's property and their future when he spent hundreds of million of euro betting on the share price of Anglo Irish Bank, the High Court has heard. His five adult children have begun a legal action against the Irish Bank Resolution Corporation over loans of €2.3 billion given by Anglo to Quinn companies. Aoife, Brenda, Ciara, Colette and Sean Quinn Junior say guarantees and share pledges signed by them in relation to the loans are invalid and have no legal effect. They say Anglo Irish Bank knew what was being done was wrong. The court heard they had unknowingly "put their heads in the noose" for a liability totalling around €415m as a result of what they had signed. Opening the case, Senior Counsel, Bernard Dunleavy said Seán Quinn's children were regarded as among the richest people in the country due to their ownership of 95 companies in the Quinn Group. It seemed they controlled an extraordinarily valuable conglomeration of businesses, but that was not the reality then or ever. Mr Dunleavy said the children had relatively modest lives and the money generated by the businesses belonged to their father, not to them. He said the reality was that their father was in total operational control of the business. There was no room for discussion, he said: what Mr Quinn said went and the possibility of refusing a request from their father was beyond their contemplation. He said Anglo knew about this state of affairs, and relied on it. By 2007, Mr Quinn was investing almost exclusively in Anglo shares and gambling on their price through financial instruments known as contracts for difference. When the share price fell dramatically, Mr Quinn had to go to the bank to fund the huge payments or margin calls he had to make as a result of the losses. Anglo had to lend hundreds of millions of euro to Mr Quinn to prop up its own share price Mr Dunleavy said. If the bank had not lent the money, the share price would have suffered an even more disastrous fall. He said the children did not get independent legal advice when asked to sign personal guarantees and share pledges in relation to these loans and this had disastrous consequences for them. He said the children would raise issues including signature switching and being asked to sign only the execution page of a document without seeing the full document. They were now being pursued for around €83m each under guarantees they would never have signed if the relevant documents had been explained to them. 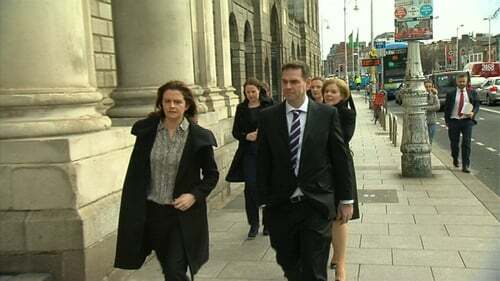 Mr Dunleavy told the court Sean Quinn and Anglo engaged in a process where they had to run and run to keep up with the falling market but never seemed to be able to catch it. There was more and more astronomical lending and by September 2007, €2.3bn had been advanced by the bank. To keep the money flowing, the bank needed security. However Seán Quinn could not give that security as he did not own the companies so he arranged for his children to do it. When the jig was up and Mr Quinn had to unwind the contracts for difference, he arranged for the children to provide guarantees. Mr Dunleavy said Mr Quinn had chosen to put all his eggs in one basket by investing almost exclusively in Anglo shares. But they were not his eggs. He gambled with his children's property and his children's future and his children had to live with the consequences today. He said the bank knew the transactions were very far from regular. He said the situation the Quinn children were in was unique - hundreds of millions of euro being lent by the bank to secretly support its own share price in circumstances where no one met with the Quinn children and no one explained the situation to them. The court heard there was a real appreciation on the part of the bank that the way security was being taken was wrong and an effort was made afterwards to make it look as if independent legal advice had been given to the children. Anglo was not just a bad bank, he said, "it was the worst". The combination of circumstances in this case ought to "shock the conscience of the court", he said. The children claimed the share pledges could not stand and the bank ought not to be able to rely on the guarantees it took. Mr Dunleavy's opening of the case is expected to last for around another two days. The case could last six months.